Navisphere CLI is a command line interface tool for EMC storage system management. You can use it for storage provisioning and manage array configurations from any one of the managed storage system on the LAN. It can also be used to automate the management functions through shell scripts and batch files. CLI commands for many functions are server based and are provided with the host agent. The remaining CLI commands are web-based and are provided with the software that runs in storage system service processors (SPs). Install the Navisphere on the CLI on the host that is connected to the storage. This host will be used to configure the storage system. 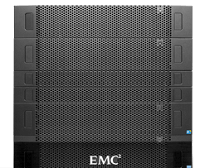 Configure the Service processor (SP) agent on the each SP in the storage system. Classic CLI is old version and it does not support any new features. But, this will still get the typical storage array jobs done. Secure CLI is most secured and preferred interface. Secure CLI includes all the commands as Class CLI with additional features. It also provides role-based authentication, audit trails of CLI events, and SSL-based data encryption. Navisphere CLI is available for various OS including Windows, Solaris, Linux, AIX, HP-UX, etc. naviseccli (Secure CLI) command sends storage-system management and configuration requests to a storage system over the LAN. navicli (Classic CLI) command sends storage-system management and configuration requests to an API (application programming interface) on a local or remote server. LUN ID – The unique number assigned to a LUN when it is bound. When you bind a LUN, you can select the ID number. If you do not specify the LUN ID then the default LUN ID bound is 0, 1 and so on.. Unique ID – It usually refers to the storage systems, SP’s, HBAs and switch ports. It is WWN (world wide Name) or WWPN (World wide Port Name). Disk ID 000 (or 0_0_0) indicates the first bus or loop, first enclosure, and first disk, and disk ID 100 (1_0_0) indicates the second bus or loop, first enclosure, and first disk. The below command shows how to create a RAID group 0 from disks 0 to 3 in the Disk Processor Enclosure(DPE). In this example , -h Specifies the IP address or network name of the targeted SP on the desired storage system. The default, if you omit this switch, is localhost. This is similar to how you create raid group from the navsiphere GUI. In the previous example, we created a RAID group, but did not create a LUN with a specific size. In this example, we are binding a LUN with a LUN number/LUN ID 6 with a RAID type 5 to a RAID group 0 with a size of 50G. –sq indicates the size qualifier in mb or gb. You can also use the options to enable or disable rc=1 or 0(read cache), wc=1 or 0 (write cache). The next several examples will shows how to create a storage group and connect a host to it. In the following example, hlu is the host LUN number. This is the number that host will see from its end. Alu is the array LUN number, which storage system will see from its end. Finally, connect the host to the storage group as shown below by using -connecthost option as shown below. You should also specify the storagegroup name appropriately. Execute the following command to verify the details of an existing storage group. Once you complete the above steps, your hosts should be able to see the newly provisioned storage. To extend a RAID group with new set of disks, you can use the command as shown in the below example. This extends the RAID group with the ID 2 with the new disks 0_0_9 & 0_1_0 with lun expansion set to yes and priority set to high. To remove or destroy a RAID group, use the below command. This is similar to how you destroy raid group from the navisphere GUI. To display the status RAID group with ID 2 use the below command. The naviseccli command initiates the copying of data from a failing disk to an existing hot spare while the original disk is still functioning. Once the copy is made, the failing disk will be faulted and the hotspare will be activated. When the faulted disk is replaced, the replacement will be copied back from the hot spare. LUN migration is used to migrate the data from the source LUN to a destination LUN that has more improved performance. Number 6 and 7 in the above example are the LUN IDs. MetaLUN is a type of LUN whose maximum capacity is the combined capacities of all LUNs that compose it. The metaLUN feature lets you dynamically expand the capacity of a single LUN in to the larger capacity called a metaLUN. Similar to LUN, a metaLUN can belong to storage group and can be used for Snapview, MirrorView and SAN copy sessions. You can expand a LUN or metaLUN in two ways — stripe expansion or concatenate expansion. A stripe expansion takes the existing data on the LUN or metaLUN, and restripes (redistributes) it across the existing LUNs and the new LUNs you are adding. To create or expand a existing metaLUN, use the below command. This creates a new meta LUN with the name “newMetaLUN” with the meta LUN ID 5 using the LUN ID 2 with a 50G concatenated expansion. The following command will destroy a specific metaLUN. In this example, it will destory metaLUN number 5.